Welcome to the Purse Rehab website (hereinafter referred to as the “Site”). We ask you to take the time to read these terms and conditions carefully. Unless stated otherwise herein, the relationship between Purse Rehab and its users is exclusively governed by these Terms and Conditions that are deemed read and accepted by the User. If you do not agree to these terms and conditions in their entirety, please do not use the Site. Purse Rehab may from time to time amend the Terms and Conditions by posting such changes on the Site. Use by you after such changes have been posted shall constitute acceptance of such changed terms. Purse Rehab uses its best efforts to keep the information on the Site updated. However, it is not possible to guarantee the complete absence of errors on the Site. The information and other material published on this Site may include inaccuracies or typographical errors. We have made reasonable efforts to ensure that product information is accurate and to display as accurately as possible the colors of our products. Changes are periodically made to the information on the Site without notice to you. Purse Rehab reserves the right to change the Site at any time, at its discretion. Purse Rehab does not warrant that the functions contained in the Site or any materials or content contained therein will be uninterrupted or error free, that defects will be corrected, or that the Site or the server that makes it available is free of viruses or other harmful components. Purse Rehab shall not be liable for the use of the Site, including, without limitation, the content and any errors contained therein. The price of the services you order is the price that is displayed on the Site at the time you confirm your order and will be confirmed by e-mail. All prices are in $. If an error is found in the price of the services you have ordered or in the delivery charge, we will inform you as soon as possible and offer you the option of reconfirming your order at the correct price or cancelling your order. If you cancel, we will refund or re-credit you for the sum that has been debited from your account. You will be asked to accept the Terms and Conditions. We will use all reasonable efforts to deliver our services within the timescales indicated on the individual order confirmation to the User. Such timescales are not guaranteed delivery times and should not be relied upon. We only ship via FEDEX. We always require someone to sign off for delivery. Purse Rehab offers a 3 month warranty on all items except consumables. This warranty covers faults only and does not cover damage caused in use by the customer or wear-and-tear. Where services have been identified as faulty within 14 days of receipt by you, Purse Rehab will repair free of charge. Where goods have been identified as damaged after 14 days of receipt by you, you may receive a free repair or partial refund. The amount of the partial refund will be proportionate to the length of time the goods have been in your possession and be on a scale of 50% – 75%. This does not affect your statutory rights as a consumer. All brand names, product names and titles used on the Site are trademarks or trade names of Purse Rehab or third party trademark or trade name holders. You are not allowed to use or reproduce any such trademarks or trade names as this may constitute an infringement of the holders’ rights. All Site design, texts, documents, movies and other services and the selection and arrangement thereof, and all other material on this Site are protected by copyright of Purse Rehab or its suppliers. 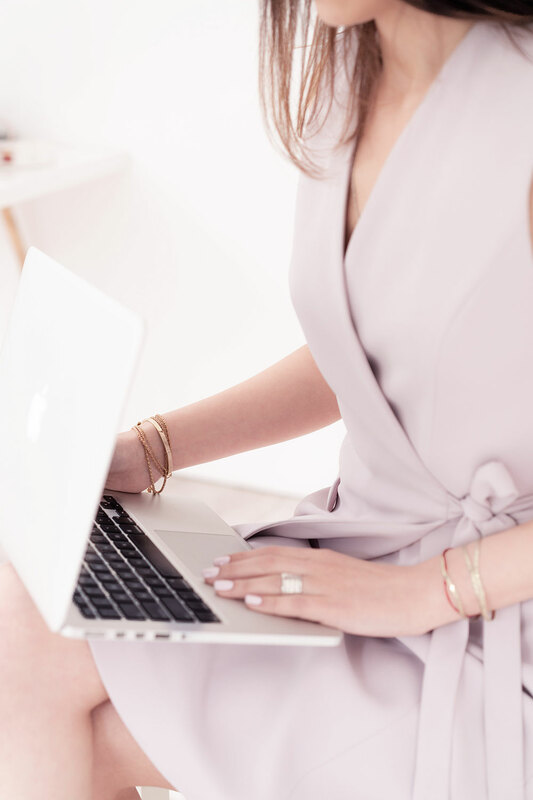 You are only allowed to electronically copy and print portions of the Site to the extent this is necessary for the purpose of placing an order, or for using the Site as a shopping resource. You are not allowed to make any other use of the information and materials on the Site, including reproduction for the purposes other than those noted above, modification, distribution, or (re)publication. Should you wish to use materials and information from this Site, you need to obtain Purse Rehab prior written consent. Purse Rehab grants you a limited license to access and make personal use of this site and not to download (other than page caching) or modify it, or any portion of it, except with express written consent of Purse Rehab. This license does not include any resale or commercial use of this site or its contents; any collection and use of any product listings, descriptions, or prices; any derivative use of this site or its contents; any downloading or copying of account information for the benefit of another merchant; or any use of data mining, robots, or similar data gathering and extraction tools. This site or any portion of this site may not be reproduced, duplicated, copied, sold, resold, visited, or otherwise exploited for any commercial purpose without express written consent of Purse Rehab. You may not frame or utilize framing techniques to enclose any trademark, logo, or other proprietary information (including images, text, page layout, or form) of Purse Rehab and our affiliates without express written consent. You may not use any meta tags or any other “hidden text” utilizing Purse Rehab’s name or trademarks without the express written consent of Purse Rehab. Any unauthorized use terminates the permission or license granted by Purse Rehab. You are granted a limited, revocable, and nonexclusive right to create a hyperlink to the home page of Purse Rehab so long as the link does not portray Purse Rehab, its affiliates, or their products or services in a false, misleading, derogatory, or otherwise offensive matter. You may not use the Purse Rehab logo or other proprietary graphic or trademark as part of the link without express written permission. 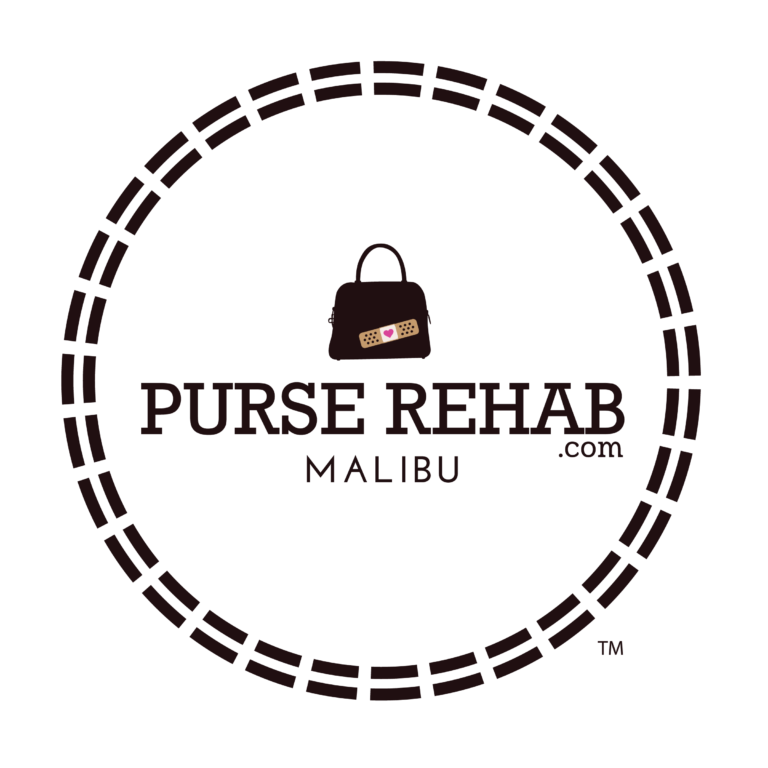 purserehab.com; Purse Rehab; and other marks indicated on our site are registered trademarks of Purse Rehab or its subsidiaries, in the US and other countries. purserehab.com; Purse Rehab; and other Purse Rehab graphics, logos, page headers, button icons, scripts, and service names are trademarks or trade dress of Purse Rehab or its subsidiaries. Purse Rehab trademarks and associated images may not be used in connection with any product or service that is not Purse Rehab’s, in any manner that is likely to cause confusion among customers, or in any manner that disparages or discredits Purse Rehab. All other trademarks not owned by Purse Rehab or its subsidiaries that appear on this site are the property of their respective owners, who may or may not be affiliated with, connected to, or sponsored by Purse Rehab or its subsidiaries. We do not store credit card details nor do we share financial details with any 3rd parties. We may contact you using details you have supplied to us to ask about the service you have received from Purse Rehab or are receiving at Purse Rehab. Affiliates/Agents: any website operator, retailer, kiosk operator, direct marketing company, telemarketer, or operator of other direct marketing campaigns that has entered into an agreement with Purse Rehab which compensates the affiliate for transactions resulting from business directed to Purse Rehab website by the affiliate. Any dispute regarding the validity, the interpretation and/or the execution of the Terms and Conditions is solely governed by the laws of The United State and the American courts. This clause does not affect your statutory rights. The User agrees that in the event of a dispute with respect to the use of the Site, electronic evidence (e.g. e-mails, back-ups, etc.) can be used as valid evidence. These Terms and Conditions supersede all prior terms applied with the User. For any questions, remarks or technical issues with respect to this Site, please contact us. These terms and conditions were last updated on 26th April 2017. Purse Rehab reserves the right to refuse services to any customer or reject any item. We use a highly specialist cleaning system which is unique to Purse Rehab, however this does not guarantee to remove all stains, defects and faults which were previously camouflaged in manufacture and may become more apparent after the cleaning process, and although every care is taken, we cannot always disguise natural flaws or totally remove adhesives, or other techniques employed by the manufacturer. All items are therefore only accepted by us for work at your own risk. Dirt can also be mistaken for shine, which in the cleaning process will be removed. Purse Rehab are not responsible for loss of shine during the cleaning process. The basic price of cleaning does not include the removal of heavy or ingrained stains. We cannot guarantee the removal of all stains Linings that are heavily soiled may be particularly difficult to clean satisfactorily The basic price of cleaning does not include the removal of heavy or ingrained stains If a stain cannot be removed on a leather item we will endeavor to cover the stain with the appropriate color. This process cannot be done on suede, nubuck, canvas or fabric. This service is not included within the price of cleaning. Suede/Nubuck – some types of stains may not be removable and stains already present may become more obvious with cleaning. Because of the nature of the material, significant improvements are not always possible. In some cases colors can become faded with cleaning, and any embossed print can be affected. The more work that is required to restore your item the more processes and products will be required. This may in certain circumstances slightly alter the way your bag feels At all times we will endeavor to keep the item to as near to the original as possible. Our estimated service turnaround time is 1-6 weeks depending on what services have been requested. Purse Rehab, however cannot be held responsible for delays to the service caused by unforeseen circumstances or additional requirements. Once received by Purse Rehab your bag will be assessed and the work required confirmed. If you have already had an estimate for the work we reserve the right to suggest other services if the wrong treatments have been requested. All work will be agreed with the customer prior to any work taking place. You will be contacted for payment for the work prior to treatments being carried out. All items must be fully paid before the item is dispatched back. Our system notes a record of emails sent and/or telephone messages left and this will be deemed evidence of contact with you. Where an item has not been paid for within 30 days we reserve the right to charge additional fees for storage of your item. We will cover your Item(s) in the event that they are lost, stolen or damaged beyond repair in circumstances beyond our control. You are insured up to the full item value or depreciated value minus the cost of any services provided. Any Item currently having our services carried out, or waiting for our services to be carried out. Any Item in transit with our Courier. Any item waiting for payment. Purse Rehab is a cleaning, repair & restoration service and any Items that are sent to us are in a damaged and/or devalued state. Any damage to, or defect in, an item which we have not been contracted to work on (this includes hardware). Delays or failures which are due to any cause beyond our reasonable control. Failed repairs due to inherent problems within the material or structure of the item – please note that charges may still apply for any work already completed. ‘Loss of value’ against manufacturer original models after the service has been carried-out Any damage which is not related to or caused by our services. Purse Rehab use industry standard techniques and professional materials, we do not warrant use of, or employment of, manufacturer original materials or processes. Where original materials are not available, parts and colors will be matched as closely as possible to the original – or to the agreed specification (such as color matched to a particular part of the Item). Purse Rehab cannot be held liable for the loss or damage of any accessories, such as dust bags, locks, credit cards etc. That are not noted on our system during the booking in procedure. If an item is repaired to a reasonably satisfactory standard no liability will be accepted for depreciation in value. If any service recommended to you by Purse Rehab is rejected, Purse Rehab cannot be held responsible for the outcome of any work carried out that does not meet the customer’s expectations Purse Rehab will not pay compensation for anything that falls outside the work we provide. We guarantee our labour and materials for a period of 3 months after work has been completed providing that the item has been maintained using the recommended ‘Purse Rehab’ maintenance plan. Hardware repairs and stitching are guaranteed only under normal use . If Purse Rehab feel that at any time the item has been misused within this period the guarantee will be null and void. You must notify us of any problem or complaint you have with the workmanship on the Item(s) within 7 days of you receiving or collecting the Item(s). If you notice a mark, stain or blemish that is on the Item you must notify us of this within 24 hours of receiving or collecting the Item (as above). 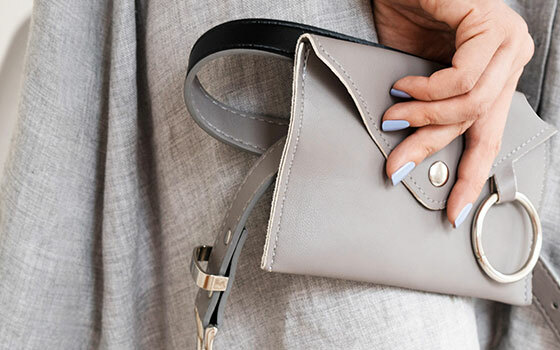 Where there is a dispute over any work carried-out, the record on our Handbag Management System is taken as the final order for the work. We will not be liable for any damage to – or deterioration of/in – the item resulting from use or application of inappropriate products or inappropriate use/misuse of the item following delivery of the order. If we are found to be at fault we will endeavor to repair and/or alter the item to your satisfaction at our cost. In all circumstances this will be the first course of action. Where the item has to be returned to us for this purpose, we will reimburse your costs of dispatch with evidence of a valid receipt/invoice. If the fault is through misuse or customer liability any work to rectify the fault will be at your own cost. Any claim settled will be on the condition that it is accepted by the customer as full and final settlement. Purse Rehab keeps photographic records of all work before and after the work has been carried out. We reserve the right to make changes to our terms & conditions at any stage without prior notice.